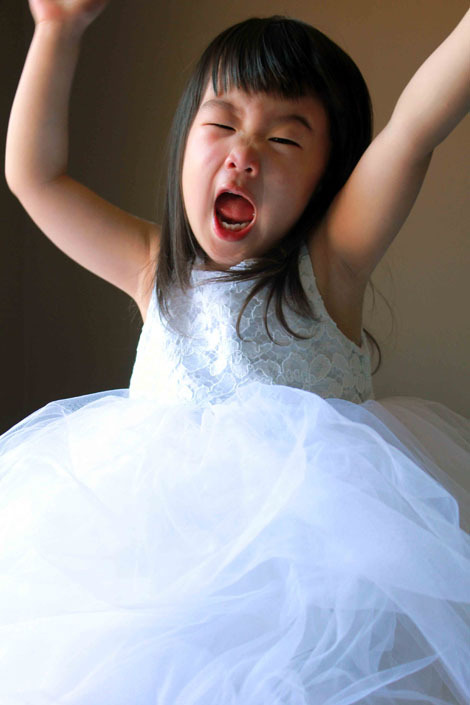 Maya and her cousin Pearlie will be the flower girls at Matt’s niece Phoena’s wedding. 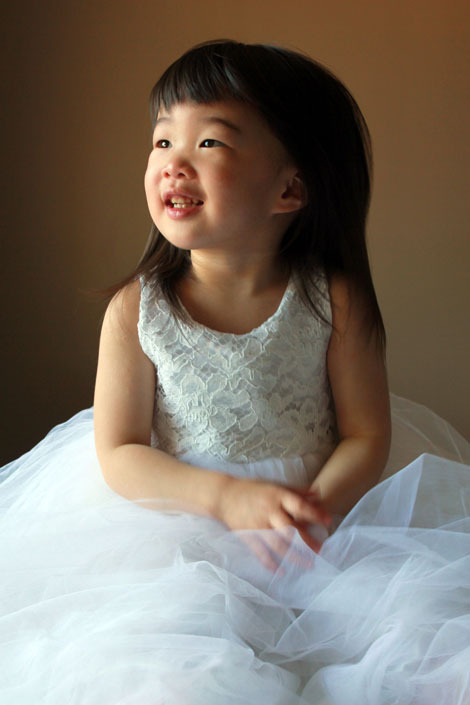 I ordered the dresses online and they arrived weeks ago before I finally let Maya see hers yesterday. Why finally? Because the dress has layers of lace. Fancy floating lace that would make her so drunk and irrational, that she would want to wear it and not take it off for the rest of her life. We had to cover and hide it in our closet. Because she can smell things. Lately we started to realize that Maya has grown so tall, and no one believes that she is only two years younger than her brother. She is just inches behind! And I wanted to make sure the dress would fit her. 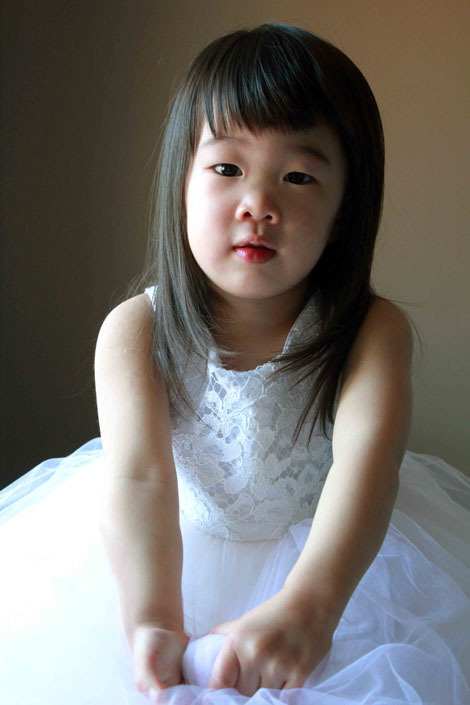 So to solve one of the millions of tantrums that she threw yesterday, I took out the dress. And OH.MY.GOD. In a split second, her pupils started to radiate beams. And BAM, the grunting and screaming turd switched over to a delightful and adorable Bambi. She ran over and started to take off her pants on her own. THIS will be the moment she wins Miss Congeniality. SO MAYA! My favorite.